A while ago when I was browsing the internet, looking to change my skincare to a more natural, non toxic and vegan type, I discovered Sukin. At first I thought it was something Japanese or Korean but when I looked into it I found out that Sukin is made in Australia. Before I buy skincare or makeup I like to find out a little bit about the brand and their vision and values, if they test on animals or if they use recyclable packaging. I dont know if most people look up these things before they decide to buy cosmetics, but for me brand philosophy is quite important. More important than what is trending on Instagram or in online beauty editorials. Looking into a brand philosophy should be just as important as checking the ingredient list before you buy something. 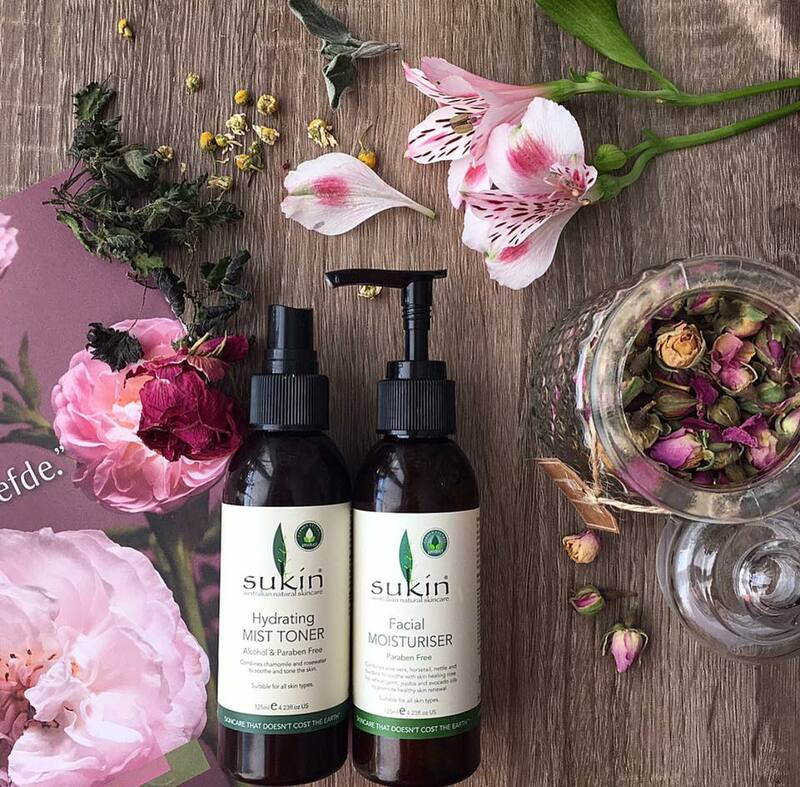 I LOVE THE SIMPLE PHILOSOPHY behind Sukin: all their formulations are 100% Carbon Neutral, biodegradable and grey water safe. All of the products produced by Sukin are Australian made with ingredients that are naturally derived, cruelty free and vegan. You might think this article is sponsored but it's not; I think it's about time that we promote for free the love of natural and healthy companies that really show respect for the environment and and for us as clients. I wish I was able to find their products at my Holland & Barrett and if that would ever happen I will probably get everything they sell. So far I was able to shop for some of their products online at various retailers but it's been difficult to find the products I wanted, especially the ones from the new super green range.